Many a band, from Metallica to Korn, and from Ministry to Napalm Death, at one point or another cited British Killing Joke as something that influenced them. Mixing industrial, electronic and gothic rock, Killing Joke were one of the pioneers in the post-punk groovy metal. Add Swiss Sybreed (I wonder whether the moniker stands for Synthetic Breed) to the list, although I don’t necessarily have their admission in writing. The proof, however, comes in the form of their latest release, The Pulse of Awakening, which features not-so-deathy quasi-industrial metal in its modern interpretation. Sybreed practices well what I always called a “slamming groove”, even if the term is purely a figment of my own imagination. In the heavy sections of their music, in order to produce their riffs, they collide all instruments in tight groovy unison. Those tough, or toughened, moments alternate with mellower clean melodic portions. Hell, this is not a new recipe these days. To gain a bit darker edge on the competition, Sybreed give keyboards a good ride. To showcase a more progressive attitude, some songs (A.E.O.N., Lucifer Effect), at least in parts, unfold alongside uneven jagged, jerkable rhythms. Vocalist Ben, having to oblige to fit both sides of the Sybreed’s face, goes for more of a shout with his rough vocals, while sounding a little genteel and weepy when he sings cleanly. The Pulse of Awakening is very modernly and professionally produced, every drum kick providing for a mini-explosion. This drum pounding is especially proper on the track called I Am Ultraviolence, which is sandwiched in between a couple of softball industrial tracks, the tendency which drives the album in a bit of a rut at times. On some songs (A.E.O.N.) Sybreed formula shines to produce the tracks you want to replay (at least for your modern metal loving friends who hear their new music from what the car radio feeds them), but that is not the case with every entry on The Pulse of Awakening. Interestingly enough, I fell for the softer side of Sybreed, with their cover of Killing Joke (Love Like Blood) and Depeche Mode influenced, down to the electronic effects, In the Cold Light. The pop sensibility of Doomsday Party, at first, was as far as I could stretch myself into this style, but after a while this gothic rock tinged tune with its bubbly keys is kind of fun. 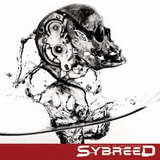 If you thought In Flames of late was on the right track, and generally enjoy more mainstream accessible modern heavy music, from the aforementioned industrial to metalcore (say Blinded Colony), Sybreed is something which should catch on in your player. Confident, within its specified boundaries, the Swiss are by far not the worst product you can experience in the modern era.